Iespēja nominēt izcilus žurnālistikas darbus Reporting Europe Prize 2012. Balvu organizē University Association for Contemporary European Studies (UACES) un Thomson Reuter. 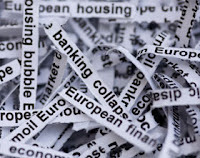 The University Association for Contemporary European Studies (UACES) and Thomson Reuters invite you to nominate a piece of outstanding journalism for the Reporting Europe Prize 2012. The Prize, now in its fifth year, honours excellence in reporting on the European Union published in the twelve-month period leading up to the nomination deadline. Any English-language print, radio, television or blog entry will be accepted. The prize acknowledges high quality, informed journalism on any aspect of the EU from either a positive or critical perspective. Any substantive print, radio, television or blog entry will be considered. Only English-language entries will be accepted. Nominated pieces must have been published within the twelve month period leading up to the nomination deadline: 2 March 2012. Nominations are accepted from both single and multiple authors. Series or weekly columns are accepted and will be judged from a representative sample of no more than 4 pieces, to be chosen by the person submitting the nomination. Please visit www.reportingeurope.eu for further details and to make a nomination.